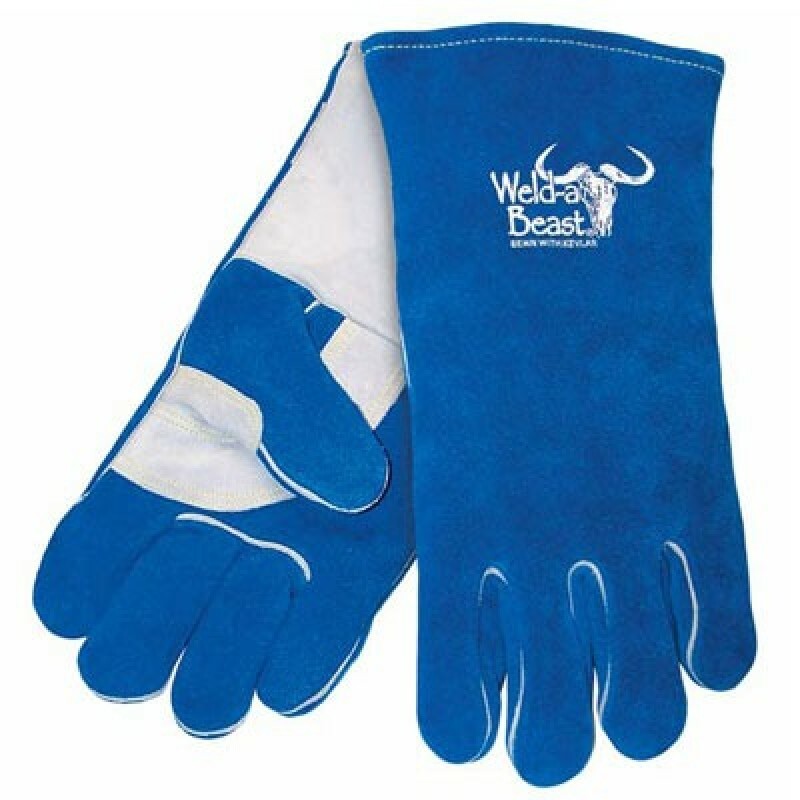 The Weld-A-Beast premium welding gloves are highly sought after by many professional welders. These gloves feature a one piece back with gray color front panel and are 14" in length. The palm strap and thumb pad are reinforced for added durability. The full sock cotton palm lining with 4mm red foam padding provides comfort as well as added protection. The cuff features a flame resistant, black drill cotton lining. The welding gloves are sewn using DuPont flame resistant thread.